This bass is a mere 9 months old but shows no sign of wear. 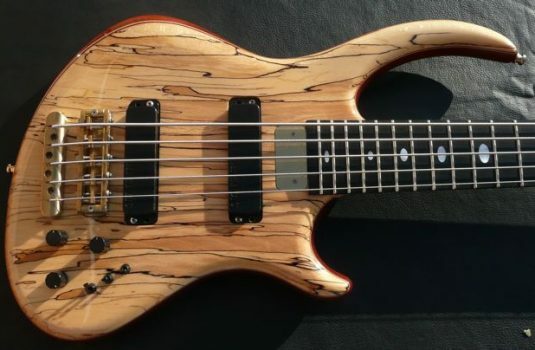 The condition is mint and absolutely as new, but it IS indeed a used bass. And so, it must be sold as such. 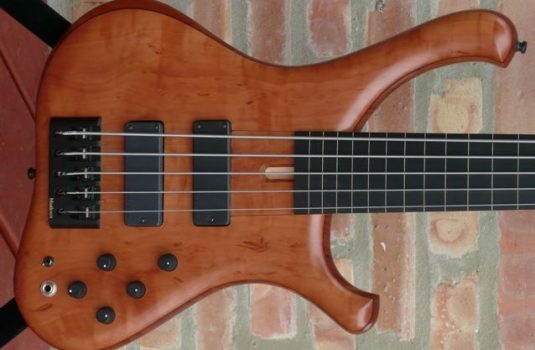 The body wood is Mahogany – the top, pickup covers, and headstock veneer are Walnut – gorgeous Walnut – check out the continuation of the wood grain artfully matched on the pickup covers. 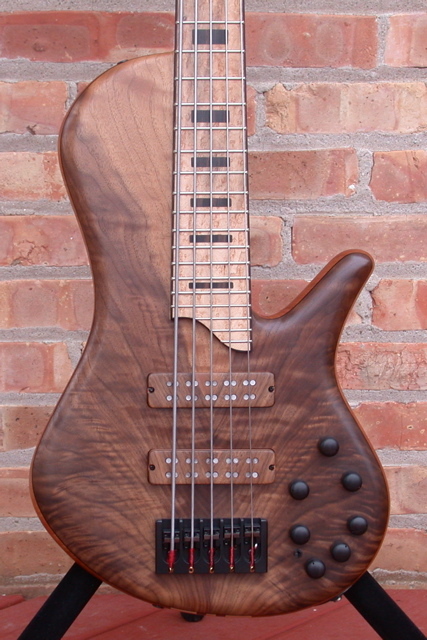 The 35″ scale neck is Maple with Bubinga runners, and the fretboard is a tasteful golden Birdseye Maple , accented with Macassar Ebony binding and block inlays, matching the control knobs. 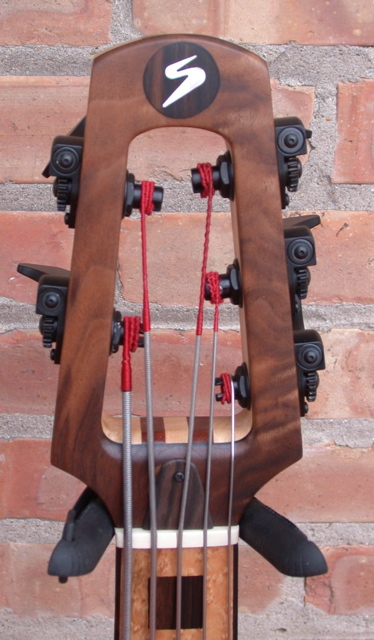 Another distinctive feature is the slotted classical style headstock. 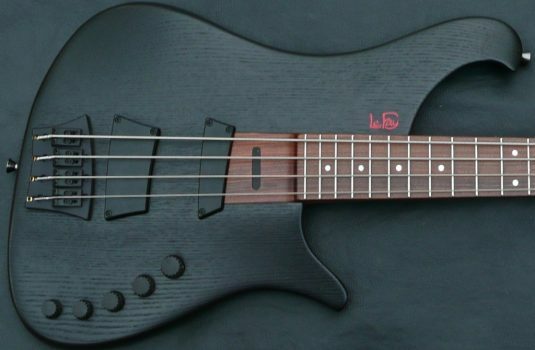 The pickups are Aero dual coils , the pre is the Bart 3 band with 3 position mid selector ( my favorite Bartolini preamp ). “P” is for the piezo bridge pickup , made by ABM. The control knobs are volume (with push/pull active/passive), magnetic blend , mag/piezo blend, piezo tone, and 3 band EQ for the mags , and the aforementioned 3 positon mid selector. 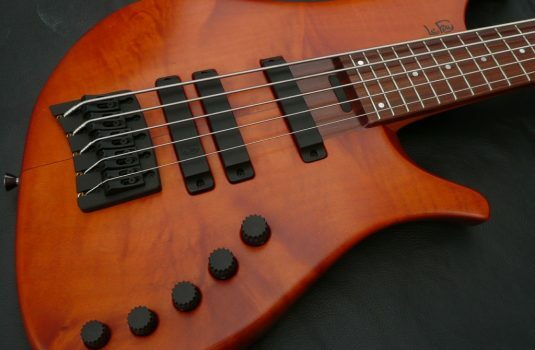 Do not be daunted – these controls are very manageable and extremely musically useful. 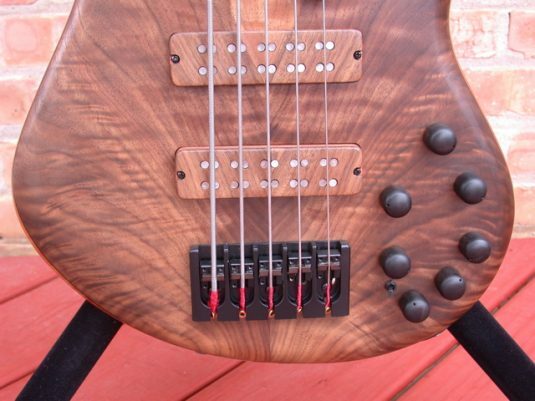 The bridge is by ABM, and the tuners are Hipshot ultralights. 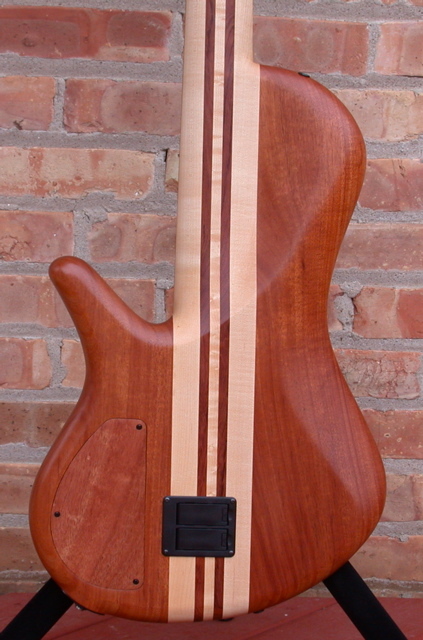 This bass is supplied with a hardshell case.